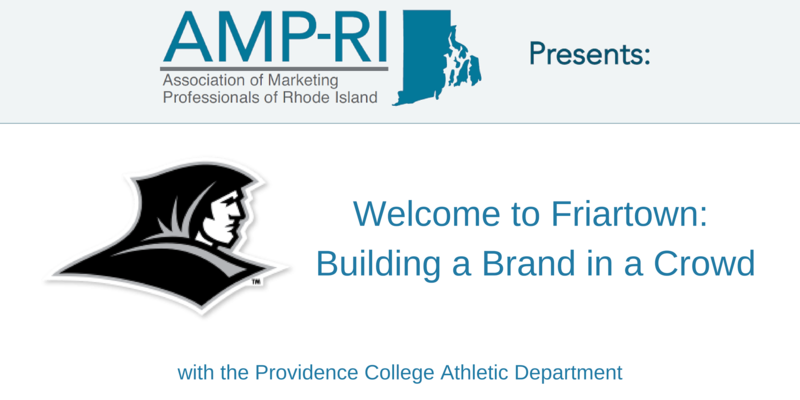 On March 6th, AMP-RI welcomed The Branding Edit at the Riff Raff Bookstore and Bar in Providence! The modern chic location created a relaxed environment where attendees were able to grab a couple drinks and network, while surrounded by all the knowledge in the world, books. Patsy and Brittanny shared how a business’s consistency within their brands social media equals trust. Instagram is the KING of social media, so a businesses Instagram should reflect the owner and it’s brand. On February 13, 2018, AMP’s community got together and welcomed University of Rhode Island’s faculty, Adam Roth, Lisa Bergson and three university students at Sonoma Bistro and WineBar in North Kingstown. Adam Roth, accompanied by Lisa Bergson, had an engrossing presentation on how URI prepares its students for real working world practices. Association of Marketing Professionals of RI is here to help you share your skills, knowledge, passion and energy for promoting your profession with other communication, marketing and sales professionals. The organization provides opportunities of comradeship that will help you excel in your profession as you share your knowledge, learn from others and gain opportunities for new jobs. We invite you to attend a meeting and learn more about AMP of Rhode Island. Whether you are a freelancer or member of a large corporation, you will benefit from the educational events and discussions available through AMP-RI… and you may have the opportunity to work collaboratively with other communication professionals on various projects.